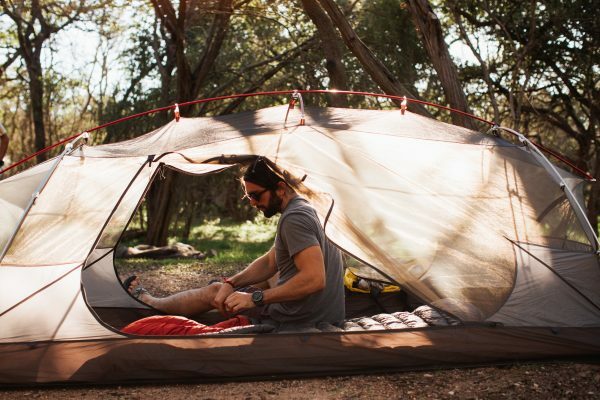 For all those indecisive campers out there who can’t make up their mind whether to go with a hammock or a tent, there is now the perfect solution in the Sunda 2-person all-in-one combination tent and hammock. 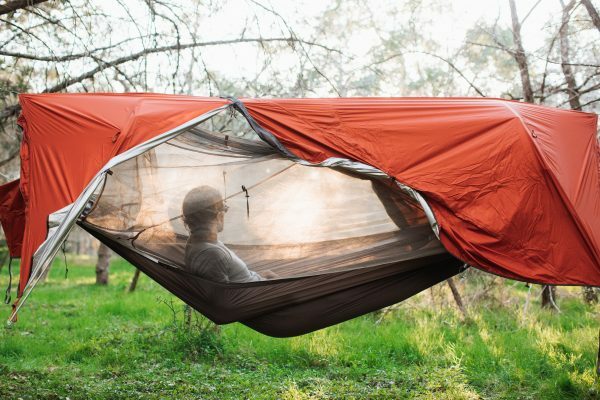 The Sunda tent hammock hit kickstarter recently and quickly generated more than $225,000. While there might be many tent hammocks on the market, the Sunda hammock is one of the most versatile around as it can perform equally well on the ground. Now we haven’t sampled the product ourselves, but it does look interesting as this thing changes shape more than a Transformer robot. When you combine the fly net and the rain shell you get about six different setups. Designers say they first envisioned the perfect four-season tent and then worked on getting it off the ground. With a little inspiration from the animal kingdom, such as the flying lemur, the Sunda tent hammock was born. Hammocks are often the preferred method for many campers because it’s more comfortable and it keeps you away from the creepy crawlers. But sometimes you can’t find suitable trees or it’s just too cold and you wish you had brought the tent. With the Sunda you only have to pack once and you can have shelter on the ground or in the trees. Check out the complete specs with demo videos at Kickstarter.